Given Labconco’s wide variety of fume hoods, how do you know which one is right for you? Here's a guide to illustrate the strengths of each model and help you make the right decision. 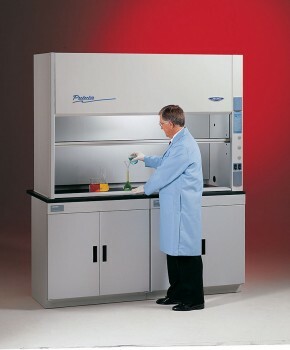 The Protector Premier Fume Hood uses Labconco’s unique tried-and-true fiberglass fume hood liner technology. With no seams to collect damaging, corrosive chemical vapor condensation, a wide range of chemicals can be used in this hood. The Protector Premier’s liner also allows for easy clean up, since it has a smooth gel coating and no baffle slots. The Premier meets SEFA’s definition of a High Performance hood (passes ASHRAE 110 containment tests at a face velocity of 60 fpm with the sash fully open at 28 inches). Use the Fume Hood Configurator to explore the options. Key selection criteria: One-piece molded fiberglass liner for use with wide range of chemicals. The Protector XStream is the leader in energy savings and performance. If having the lowest volumetric flow (Cubic Feet per Minute, or CFM) required for containment is important to you, you’ve found it. Using the lowest CFM in the industry translates to far less of your costly heated or conditioned air venting out of the laboratory. The XStream has been challenged well beyond the SEFA definition of a High Performance hood to perform safely at as low as 40 feet per minute (fpm) face velocity (compared to the industry standard 100 fpm). It passed a third party ASHRAE 110 test with an average of 0.00 ppm of tracer gas detected, at a face velocity of 40 fpm with the sash fully open (28 inches)! Its panelized fiberglass liner will hold up well with general chemistry use. 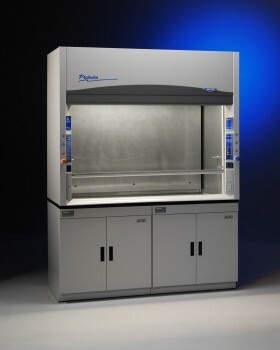 If you need a fume hood that contains at the lowest airflows, this is it! Key selection criteria: Uses the least amount of air (CFM) to contain, and can contain at extremely low velocities (tested to 40 fpm). The Protector Echo is Labconco's newest fume hood model: A filtered fume hood that combines Erlab’s GreenFumeHood Technology (with Neutrodine® Filtration) and Labconco’s fume hood platform (with patented containment features). Neutrodine technology can filter most acids, bases, and solvents, so there is no need to pick a specific filter for a specific chemical use. This hood recirculates the air back into the laboratory; therefore, it requires no make-up air or roof penetrations for a rooftop blower. 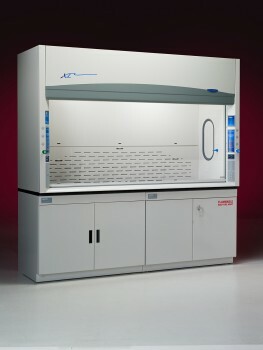 Labconco will help you get a chemical assessment to see if your chemicals are compatible with this filtered fume hood. Key selection criteria: No duct required, comprehensive filter technology filters acids, solvents, and bases. The Protector XL is Labconco’s most flexible fume hood. Made out of panelized fiberglass, the design allows for wider and deeper standard sizes. This hood comes standard as large as 16 feet wide x 43.7 inches deep, or as small as 3 feet wide x 31.7 inches deep to accommodate any need. The liner is compatible with general chemistry use, and this hood also meets SEFA’s definition of a High Performance hood (passes ASHRAE 110 containment tests at a face velocity of 60 fpm with the sash fully open at 28 inches). Key selection criteria: Flexible sizing, great for lab design projects. 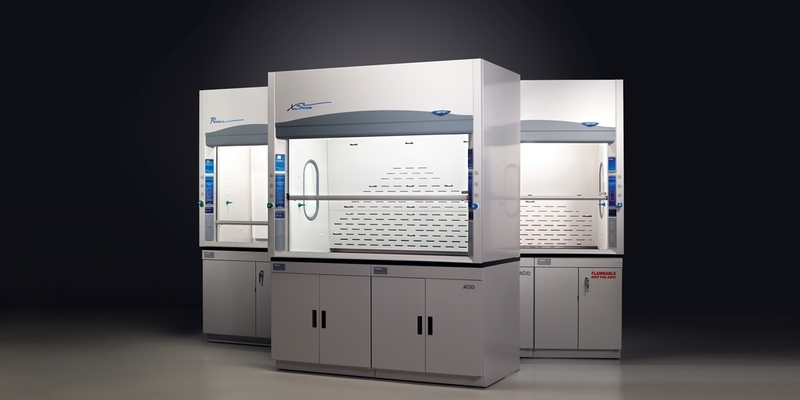 Basic 47 & Basic 70 fume hoods are for minimal use. The coated-steel liner is not compatible for use with acids, so this hood is best used for solvents and chemicals that will not corrode steel. Some Basic fume hood models also contain an integral blower (only intended for short, straight duct runs), eliminating the need for a rooftop blower. 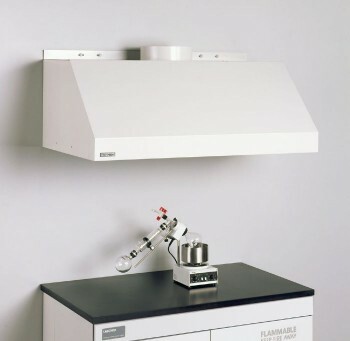 Because they do not have the same features as the Premier, XL, and XStream, Basic hoods do not meet the SEFA definition of a high performance hood, and therefore require more air than other Labconco hoods to operate. This type of hood should only be used for infrequent use installations to avoid unnecessary energy inefficiency. Key selection criteria: Great for use with solvent work. The Canopy Hood should only be used for nuisance vapors and heat removal. Much like a kitchen vent hood above a stove top, it doesn’t capture and contain vapors like a true fume hood does. If the user will be working with hazardous levels of chemicals, then this hood is not what you want. A benchtop unit that can capture and contain will need to be used instead. Key selection criteria: Can be placed over a sink or existing benchtop – doesn’t take up room on benchtop. The Radioisotope Fume Hood is what you’ll want when working with hot particles; having the security that none of those particles will escape the fume hood is paramount! With its fully welded stainless steel lining with coved corners, a radioisotope fume hood will ensure that all particles will remain contained. This hood comes with an integral work surface to add to that security. Key selection criteria: Fully welded stainless steel, coved corners and integral work surface keep everything contained in the fume hood. 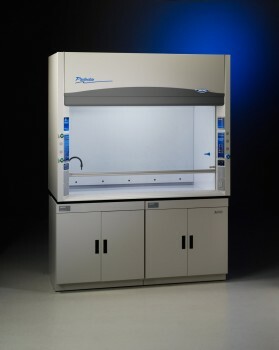 The PVC Acid Digestion Fume Hood is perfect for working with high concentrations of acid. Liner compatibility is very important for acid digestion. PVC is extremely compatible with even some of the strongest of acids, helping your fume hood investment last. This hood comes equipped with a wash down system to clean the liner, as well as a polycarbonate sash to eliminate the threat of glass etching from Hydrofluoric Acid use. Key selection criteria: The PVC liner, built-in wash-down system and polycarbonate sash make this hood great for heavy use of acids. The PVC or Stainless Steel Perchloric Acid Fume Hood are the only choices for working with perchloric acid, a corrosive chemical that is explosively unstable under certain conditions. Both our PVC and stainless steel Perchloric Acid hoods come with a wash-down nozzle to wash the liner of the hood to ensure the system does not become unstable. Use the stainless steel liner if the internal working temperatures exceed 140 degrees F. If you are working with Perchloric Acid, this is the hood for you! Key selection criteria: Available in two liner types for different temperature requirements, and comes standard with a wash-down system. Other considerations include selecting an airflow monitor, the correct blower, an appropriate work surface, base cabinets, and other required accessories.